Three-llanova. It was 9-2 before most people had even started their mid-session hot dog. 14-4 by the first TV timeout. 22-4 seven minutes into the game. And everyone in the building, including Kansas head coach Bill Self, knew it was over. Villanova was simply too good to blow an 18-point lead, even if 80 percent of the game was still to come. At that point in the game, Villanova had already nailed six threes, but the Wildcats were far from done. Over the course of the next 13 minutes, Villanova dropped another seven threes, totaling a Final Four record-tying 13 in the first half alone. The Wildcats did so on 26 attempts (50%), effectively eschewing its patented drive game in favor of a number of long-range heat checks that dropped. Furthermore, Villanova only attempted seven two-point field goals for the half and took zero foul shots. All of this goes to show that Jay Wright‘s team was absolutely scorching, feeling it and playing to their hot hands. It was a first half performance for the ages and Kansas never really had a chance after the opening few minutes. Going into the break down 15 points, the Jayhawks never saw a single-figure deficit again. Villanova is on the Cusp of Greatness. Win a single National Championship at any school in America and you drink for free in the area for the rest of your life. But the truth is that there have been a number of one-hit wonder championship teams that are generally forgotten beyond their localities. If Villanova cuts down the nets on Monday night in San Antonio, however, Wright’s program will ascend to greatness. Three-year runs that include a trio of 30-win seasons and two banners don’t exactly grow on trees. In fact, only Kentucky from 1996-98 can make that claim in the modern era. For a program that doesn’t pile up all of the elite recruits but rather cultivates and grows the ones it gets, this run is nothing short of astonishing. 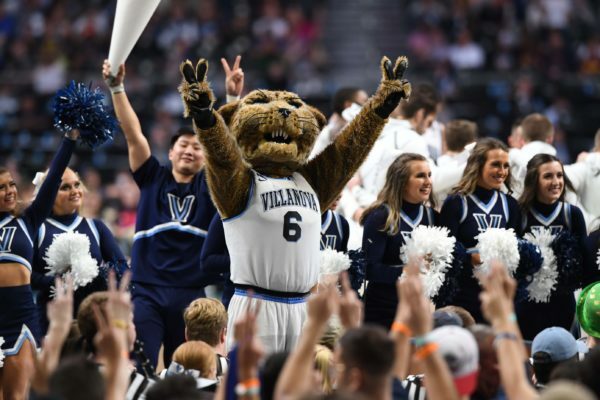 There is still another game to be played, of course, and Michigan is a worthy and capable opponent, but all signs point to Villanova achieving something that perhaps only Wright and his closest supporters saw coming three years ago. Kansas Did Its Job For America. Bill Self alluded to this after the game, but given the number of issues that Kansas has faced this season — from losing Billy Preston to running a four-guard set — the Jayhawks have nothing of which to be ashamed. Beating a loaded Duke team in overtime of the Elite Eight is what this team will be remembered for, and even though the Kansas program plays for banners, it will be a very nice memory for the Jayhawks and the rest of America for years to come. We made light of Self having his “least impressive team” ever — which is still hogwash, but it certainly had more weaknesses than most of his teams over the last decade in Lawrence. That said, Kansas will continue to recruit great players; Self will continue to coach ’em up; and Kansas will continue to get to Final Fours. Eventually he’s going to win another one of these tournaments. Player of the Game. Eric Paschall, Villanova. Take your pick on the Villanova roster for this award, but it’s yours when you drop 24 points in 29 minutes with only one missed shot on the entire evening. Paschall is one of the lesser-known players among the Wildcats’ regulars but he was All-American level tonight, draining a couple of threes for eight points in the first half and effectively ensuring Kansas would not make a run with 16 more points in the second stanza. 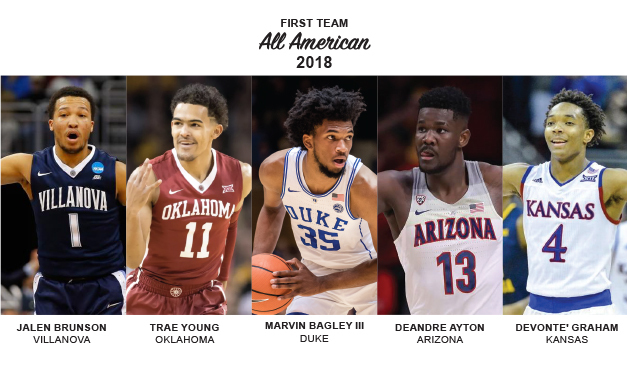 Compiling preseason All-America teams is a difficult task because nobody knows what will come during the regular season. There will always be several players who fall short of expectations and there will always be several relative unknowns who unexpectedly emerge to stardom. When our outfit of RTC pollsters selected their preseason All-America teams in November; nobody could have guessed that only six of the 15 players chosen would live up to their hype: Villanova’s Jalen Brunson; Duke’s Marvin Bagley III; Kansas’ Devonte’ Graham; Xavier’s Trevon Bluiett; West Virginia’s Jevon Carter, and Michigan State’s Miles Bridges. Here are the 2017-18 RTC All-America Teams. Trae Young, Freshman, Oklahoma (consensus) (27.4 PPG, 8.7 APG, 3.9 RPG). No player dominated the national conversation this season more than Young. The freshman point guard exploded on the scene in remarkable fashion, scoring 43 points in just his fifth collegiate game (a 90-80 win over Oregon) and was both the country’s leading scorer and assist man far into the year. While Oklahoma faltered as a team, Young’s lone season in Norman was so impressive that, after the Sooners lost to Rhode Island in the first round of the NCAA Tournament, head coach Dan Hurley noted, “I made the mistake of watching some of their early games first. I didn’t sleep for a day.” Considering how quickly and easily the point guard jolted onto the college basketball scene, it is not exactly clear if Hurley was being facetious or not. Jalen Brunson, Junior, Villanova (consensus) (19.2 PPG, 4.6 APG, 52.7% FG, 41.4% 3FG). Entering the season, Brunson had already developed a well-deserved reputation for being one of the steadiest players in college basketball. He took that perception to another level this season, acting as the face of an extremely even-keeled Villanova team that is headed to another Final Four. There has been a great deal of national discussion regarding how methodical and systematic Brunson appears during the course of a game that even Xavier coach Chris Mack offered his thoughts on the matter. Following his Musketeers losing by 24 at Villanova in early January, Mack implied that Brunson is a robot, stating, “You peel his face off, he’d probably have wires coming out of it.” It is currently unknown whether robots are good at basketball, but it is well-established that the junior point guard is one of the best players in the country. Marvin Bagley III, Freshman, Duke (consensus) (21.0 PPG, 11.1 RPG, 61.4% FG). Every so often there is a much-ballyhooed recruit that meets and even exceeds the exorbitant hype that accompanies his arrival to the sport. That was the case for Bagley, as he ensured his only season in Durham was a memorable one. The phenomenally athletic freshman put his stamp on Duke basketball lore, as he became the first Blue Devil since the great Christian Laettner to record a 30+ point and 15+ rebound performance — and he did it four times. Despite missing five games with a knee injury, Bagley still became the school’s all-time freshman scoring leader following a 22-point effort in Duke’s Sweet Sixteen victory over Syracuse. While Duke’s season ended in a disappointing Elite Eight loss to Kansas where the precocious freshman somehow only managed nine field goal attempts, it is impossible to view his sole college season as anything other than a resounding success. DeAndre Ayton, Freshman, Arizona (20.1 PPG, 11.6 RPG, 61.2% FG). Ayton was another much-ballyhooed recruit that delivered on years of promise. The Arizona big man’s dominance was expected, but that did not make it any less awe-inspiring to watch the athletic forward overpower his opposition throughout the season. Ayton is considered among the top prospects for the 2018 NBA Draft because of his incredible size — he has an ideal NBA frame and athleticism — but he is far from just an antiquated back-to-the-basket big man. It truly is a shame Ayton’s sensational freshman season will likely be best remembered for both Arizona’s First Round NCAA Tournament flameout against Buffalo and the unsubstantiated ESPN report that he was the prospect being discussed on an FBI wiretap involving an alleged pay-for-play conversation between Arizona coach Sean Miller and former ASM Sports runner Christian Dawkins. Devonte’ Graham, Senior, Kansas (17.2 PPG, 7.3 APG, 40.3% 3FG). 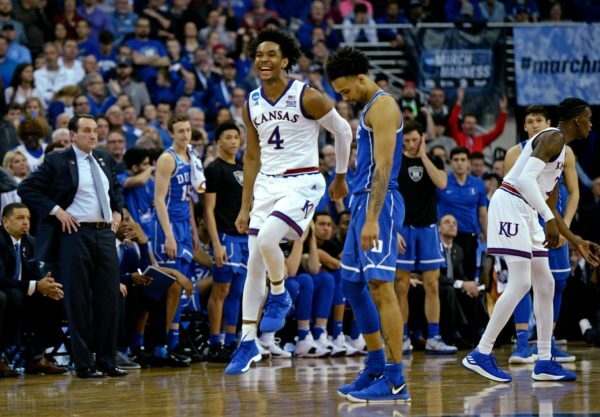 You know the senior floor general has had a substantial impact on the Final Four-bound Jayhawks when Hall of Fame coach Mike Krzyzewski noted after Kansas bested his Blue Devils in the Elite Eight: “In Graham, you have really one of the great leaders, not just players, in the country. Look, he’s one of the top five players in America, and it’s not just because he scores, but it’s how he leads. When he’s on the court, everybody is better. […] That’s why they’re as good as they are.” The Big 12 Player of the Year has been the straw that stirs the drink for the Jayhawks all season long. He has made big play after big play, and if Kansas hopes to cut down the nets this weekend in San Antonio, it is going to need Graham to play at an elite level. Udoka Azubuike showed how important he is to Kansas’ success. The sophomore big man is finally back from a knee injury that kept him out of the Big 12 Tournament and limited his minutes during the First and Second Rounds of this NCAA Tournament. With Azubuike now healthy, Kansas forced the issue with him early and often as he finished the evening with 14 points on 7-of-9 shooting and grabbed a game-high 11 rebounds. While those statistics suggest to the casual eye that he just had a good game, you have to look beyond the box score to realize just how important he is to Kansas’ success. The Jayhawks at the very least look his way for an easy bucket every time he’s on the floor, and he is a stalwart in the middle on the defensive end. If Kansas is to win Sunday and advance to Bill Self’s third Final Four, what Azubuike brings to the fold on both ends of the court will be an important factor. Devonte’ Graham needs to play better if Kansas wants a trip to the Final Four. The final statistics show that Graham finished with a pretty standard outing, totaling 16 points while collecting five rebounds and four assists on the night. While the senior point guard gathered his numbers, he would also be the first to say that he did not play nearly as well as he needs to for his team to advance to San Antonio. Graham made just one of seven shots from three-point range and finished just 4-of-12 from the field. He also committed three uncharacteristic turnovers, including one where he threw the ball away followed by an ill-advised foul that gave Clemson an and-one opportunity. Graham has been quite steady throughout his collegiate career so it is certainly reasonable to expect he will play better against Duke or Syracuse on Sunday. 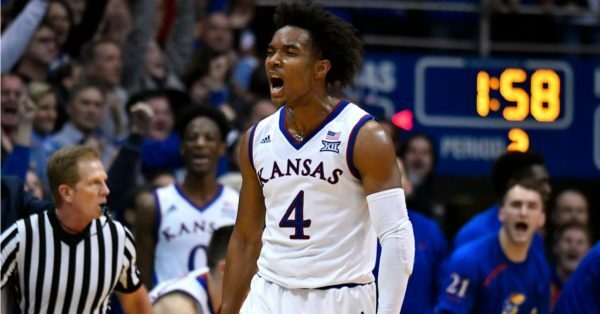 Kansas is going to need a quality performance from him because it cannot advance to another Final Four without Devonte’ Graham playing like the Big 12 Player of the Year. Clemson deserves a ton of credit for fighting until the final buzzer. There are no good losses or moral victories in the NCAA Tournament, but Clemson’s performance tonight would certainly qualify if there were. Playing in front of a very partisan Kansas crowd, the Tigers fell behind by 20 points early in the second half and it looked like their run was over. It would have been understandable if Brad Brownell‘s squad simply went through the motions for the remainder of the game, but the Tigers instead fought tooth and nail to the final buzzer to lose by only four points. Behind senior guard Gabe DeVoe‘s career-high 31 points and some tenacious defense, Clemson put considerable game pressure on Kansas as the final minutes ticked away. Their efforts were ultimately unsuccessful, but you would have to be a significantly jaded individual if you do not come away from that game impressed with Clemson’s fight. Yesterday and today we will be rolling out our region-by-region analysis for the 2018 NCAA Tournament. 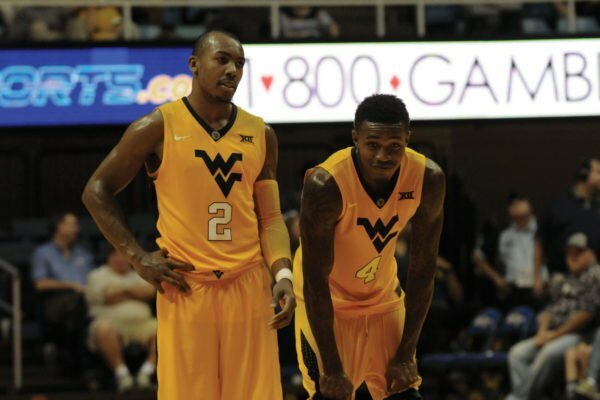 Here, Walker Carey (@walkerRcarey) breaks down the Midwest Region from top to bottom. Also, be sure to follow our RTC Midwest Region handle on Twitter for continuous updates the next two weeks (@RTCMWRegion). Favorite: #2 Duke (26-7, 13-5 ACC). While Kansas is the top seed in the region, Duke’s overall talent makes the Blue Devils the favorite. According to KenPom, Duke ranks third in the country in offensive efficiency and seventh in defensive efficiency. 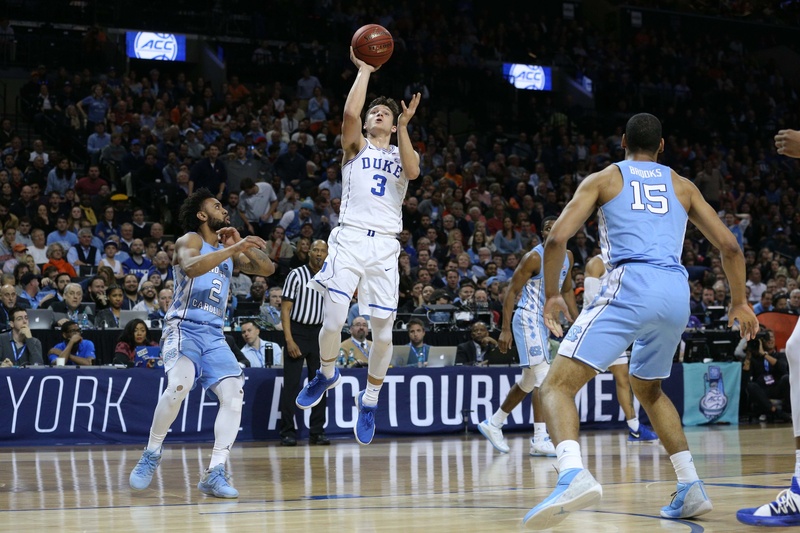 The Blue Devils are led by senior guard Grayson Allen (15.7 PPG, 4.5 APG) and freshman phenom Marvin Bagley III (21.1 PPG, 11.5 RPG), which gives it a decided talent advantage on both the perimeter and inside nearly every time they take the floor. Neither Rhode Island nor Oklahoma possesses the offensive firepower to knock off Duke in the Round of 32, while a potential Sweet Sixteen match-up with Michigan State represents a rematch of a Champions Classic showdown where Allen scored a career-high 37 points in leading his team to victory. Considering #1 Kansas’ general inconsistency and questions surrounding the health of big man Udoka Azuibuike, the Blue Devils’ path to another Final Four appears clear. Should They Falter: #1 Kansas (27-7, 13-5 Big 12). For a team that earned its 14th consecutive regular season Big 12 title this season, Kansas certainly experienced plenty of national doubt. There have been legitimate questions about the Jayhawks’ overall depth and interior play all season — and those discussion points were not helped by Azuibuike suffering a knee injury prior the to the Big 12 Tournament. 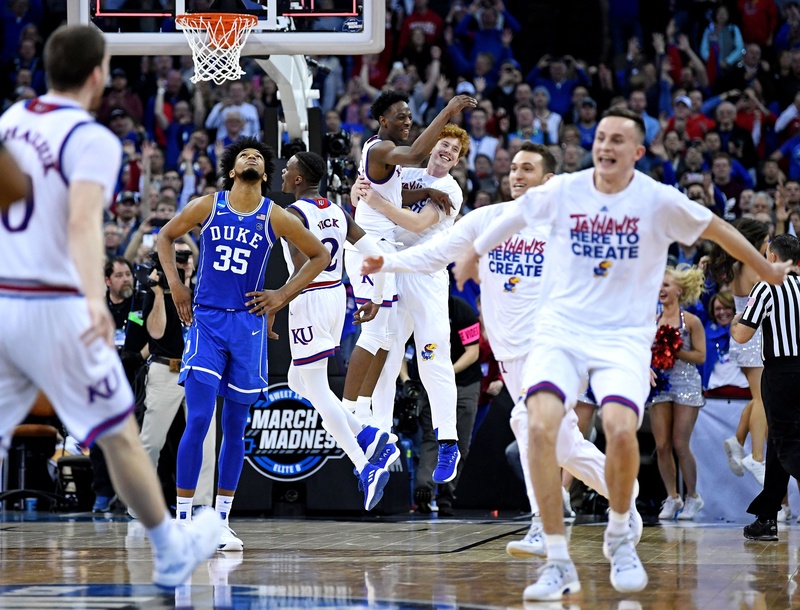 That said, Kansas was able to win three games in three days at the Big 12 Tournament to take home the title and the Jayhawks appear to be playing their best basketball of the season. 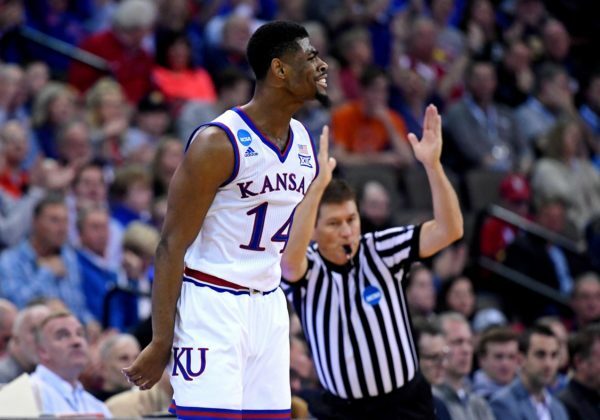 With senior guards Devonte’ Graham and Svi Mykhailiuk leading the charge, coupled with the emergence of sophomore guard Malik Newman, Kansas has enough offensive prowess to keep up with anyone in the field. Grossly Overseeded: #10 Oklahoma (18-13, 8-10 Big 12). The Sooners were one of the best stories of the early portion of this season. Freshman guard Trae Young was drawing favorable comparisons to Stephen Curry for his outstanding perimeter game, and it appeared Lon Kruger‘s group was equipped to rise from the ashes of last season’s debacle to ascend to the program’s second Final Four in the last three years. That all came to a screeching halt when the calendar turned to 2018. Since Big 12 play began, Oklahoma has gone just 8-12 and has not won a game away from Norman. While Young looked fresh and explosive in the early season, he has looked tired and lethargic since (an astronomical nation-leading usage rate of 38.6 percent surely contributes). 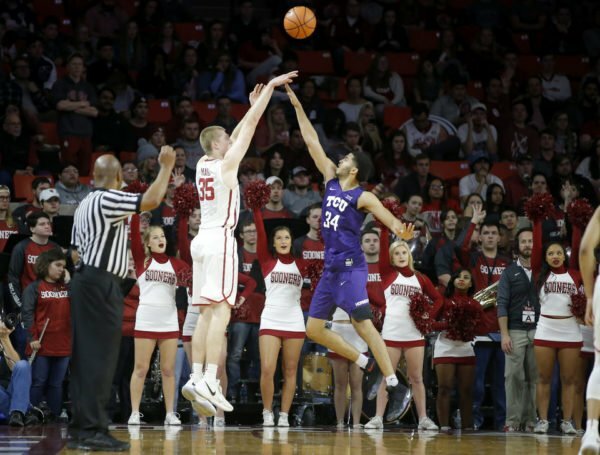 The committee has repeatedly acknowledged that it values early season play just as much as it does the late season, so you can certainly understand why the Sooners were selected to the Field of 68. The surprising part is how firmly they were in — getting a #10 seed and avoiding the First Four is a generous draw for a team that has struggled so much. Criminally Underseeded: #14 Bucknell (25-9, 16-2 Patriot League). Following a loss to Boston University on January 2, Bucknell was saddled with a mediocre 7-8 record and was looking for answers. The Bison finished the year, however, by winning 18 of their last 19 games and dominating the Patriot League Tournament — winning their semifinal and championship games by 31 and 29 points, respectively. It seems like everything is humming along nicely for Nathan Davis‘ group as the NCAA Tournament commences this week. That is why it was surprising to see the Bison earn only a #14 seed and a rather intimidating match-up with a very talented Michigan State squad in Detroit. Advancing past the First Round will be a tough ask of Bucknell. Kansas’ bomb squad lifts team to victory. With center Udoka Azubuike recovering from an MCL sprain, the Jayhawks knew what they had to do to maintain control and they went out and did it. Twenty-eight of Kansas’ 60 attempts from the field came from beyond the arc, and they connected on 39.3 percent of their tries. Devonte’ Graham was relatively quiet (3-of-11 FG), but he still found a way to approach his season averages, scoring 15 points and dishing out eight assists against just three turnovers. 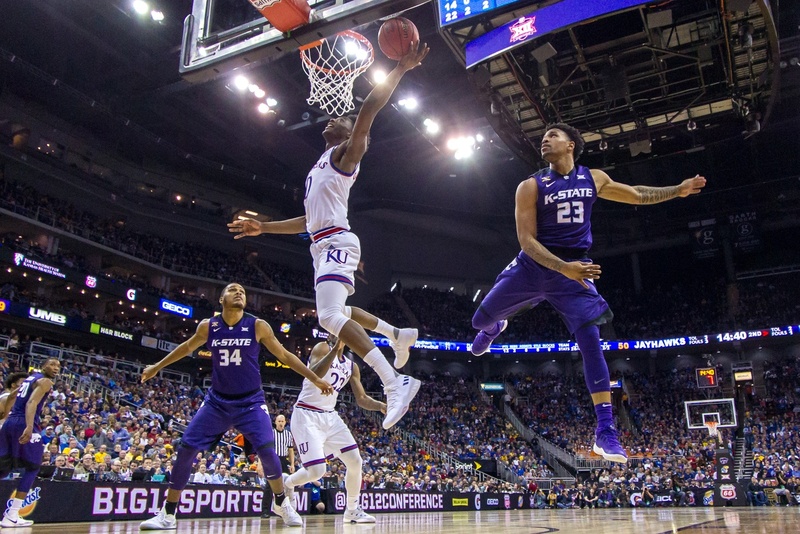 It wasn’t always pretty, as Kansas State at one point cut a 16-point deficit down to two, but it was enough to move on to the championship game tomorrow night. Personnel issues set Kansas State back. Already without the services of first team All-Big 12 forward Dean Wade, Kansas State was further hampered just a minute into the game when guard Barry Brown took an inadvertent shot to the eye from Graham. Trainers quickly took Brown to the locker room for evaluation and he warmed up on the court prior to the start of the second half, but he never re-entered the contest. Without its two best playmakers, offense quickly became a chore for Bruce Weber‘s team. Forward Makol Mawien was incredibly efficient in the post on his way to a game-high 29 points, but his night was more of an indictment of Mitch Lightfoot‘s interior defense than it was an endorsement of his own game. The Wildcats’ jump shooters had trouble producing all night, which only underscores Wade’s importance to the team. Kansas needs Udoka Azuibuike healthy in order to make a deep NCAA Tournament run. Between Wade, Azubuike and Mohamed Bamba, Big 12 big men have been dropping like flies, but no team has as much at stake in the health of its frontcourt centerpiece as Kansas. 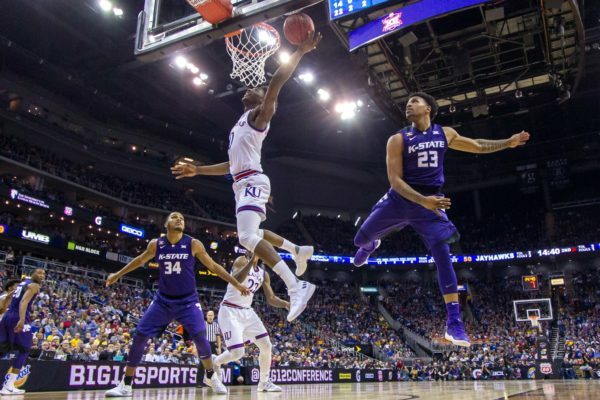 While Silvio De Sousa pitched in with 11 rebounds in 19 minutes of action, he was frequently lost on offense, leading Bill Self to look down his bench knowing that it offered little in the way of solutions. Meanwhile, Lightfoot helped free up Kansas’ shooters and cleaned up a couple of misses, but couldn’t keep up defensively with an average post player in Mawien. With Azubuike, the Jayhawks have Final Four potential. Without him, their season could be over in the blink of an eye.